A reader asks about tracking dates in the fact table vs. dimension tables. Q: It seems to me that it is sometimes more effective to store date keys in the dimension table -- particularly if that date could be used to describe the rows in many different fact tables. The alternative would be to duplicate the date key in multiple fact tables. For example, the effective date of an insurance policy could be used against many fact tables. Should we store the effective date key in each of the fact tables? Or store it in a single row in the Policy? 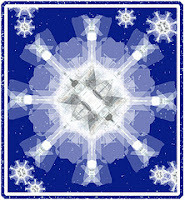 The differences in design would be a star schema (fact table) versus a snowflake (stored in the dimension). A: Many models feature at least one major dimension with a date that might be used to qualify facts in more than one star. This happens in other industries, too. Examples include dimension tables that represent orders, contracts, tests and so forth. Avoid placing date_key columns in dimension tables. It increases SQL complexity, reduces schema understandability, and may impact performance. Some designers may allow limited use of snowflaking, but not in this situation. For example, in Robert's case there might be a Policy dimension table with an attribute called policy_effective_date. This is a date, not a key. There are times when some designers might choose a snowflake path -- placing dimension keys into dimension tables. This happens when there is a set of attributes that appear in multiple dimension tables. This occurs with geographical data. The characteristics of a location might appear in a customer dimension table, a warehouse dimension table and a department dimension table. In this case, the concern is that the ETL routines may not consistently process locations across multiple dimension tables. If their attributes or slow change characteristics are not managed identically, inconsistencies may develop across these tables. Designers reason that creating one location table solves this problem. Each dimension that contains location data will contain a location_key. This ensures a single consistent representation of locations. I discuss this technique in Chapter 7 of Star Schema The Complete Reference , and point out that it opens the door for a different kind of ETL challenge. If location data is moved to an outrigger, each time there is Type 2 slow change to a location, all related dimension table rows must also undergo Type 2 changes. My preference is to allow the attributes to repeat in multiple tables, and to increase the QA focus on related ETL programs. Thanks to Robert for the question. If you have one of your own, send it to the address in the sidebar.